Good skin care has become an important part of my daily routine these days. I think it has something to do with getting older. 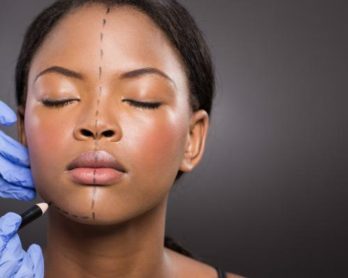 After the age of 25, there are certain skincare ingredients that should be included on your cosmetics list. Because the older you get, the more obsessed you become with looking young and these products help to ward off the signs of ageing. God forbid I start to get wrinkles. 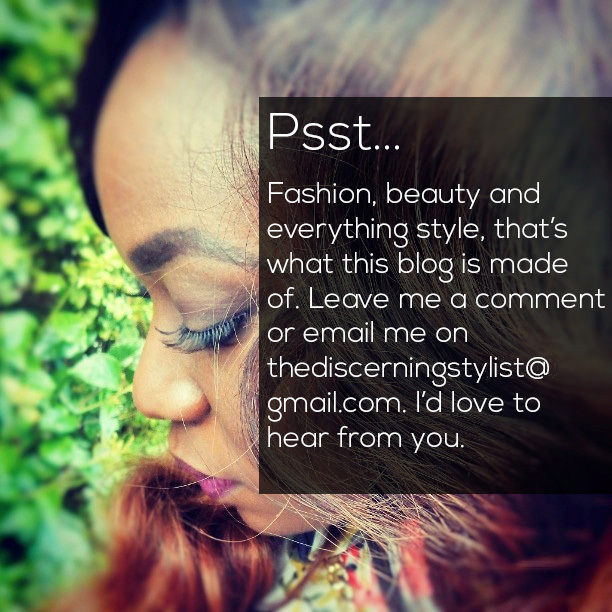 I want youthful, supple skin for life – who doesn’t? I don’t have the perfect skin but I don’t have the worst either. I have oily skin prone to breakouts, some texture/large pores around my cheeks. But, with some TLC and hydration, my skin surprises me from time to time. This is because I have learnt that if you are going to splurge on anything, splurge on skin-care products because you are worth it, your face is worth it. What has always bothered me is spending an inordinate amount of money on skin-care products that don’t work. Once you buy it and have used it, you can’t return it. Which means you have to be sure the product will do what it says before you spend a quarter of your salary on a face cream – am I right? What if I told you that the answer to great skin-care products lies in the ingredients? You would either think, ‘that’s no secret’, or be interested to learn more. I hope it’s the latter and even if it is the former, keep reading. You just may learn something. We all know SPF is good for protecting your skin from the damage the sun can potentially cause it. And no, this does not only apply to white people. Every colour under the sun (no pun intended) needs SPF. 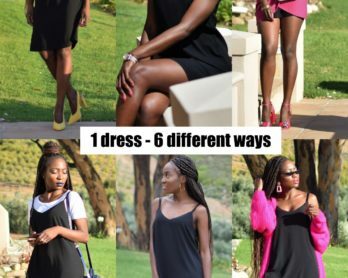 Darker skin tones need less than paler skin tones but we need it too. The other things we need are vitamin c, ceramide, hyaluronic acid, retinol and peptides. I’m not a dermatologist or a beauty expert, I have just been doing a copious amount of research and using some of these products so I know they work. You aren’t supposed to use all of them together and I use mine interchangeably. 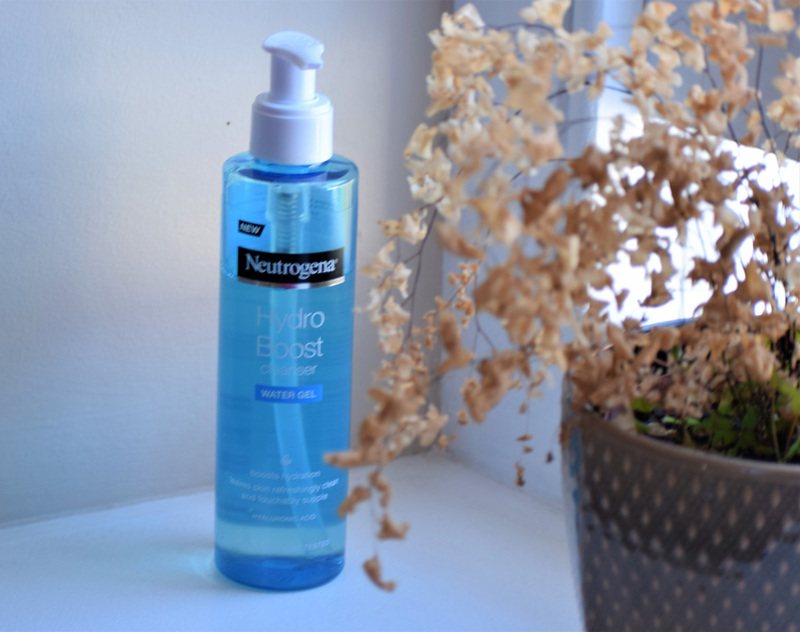 In the morning, I use Neutrogena Hydro Boost Water Gel Cleanser 200ml (R100 at Clicks). I don’t drink enough water and it’s winter so I need to get hydration somehow. This product is oil-free, lightweight and has a pleasant smell not to mention it contains Hyaluronic acid. Ingredient – What is Hyaluronic acid? 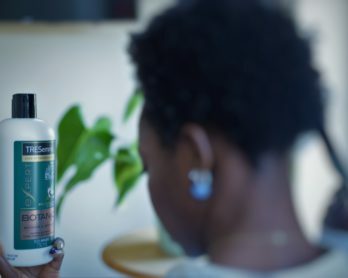 It is a naturally occurring substance in the human body that regulates cell renewal, lubricates connective tissue thereby helping to maintain the skin’s suppleness and elasticity. Hyaluronic acid helps to retain moisture, making the skin soft, supple and smoother. Results – I love the Neutrogena Hydro Boost Water Gel Cleanser product for my face. It has a really nice smell, reminds me of Cool Water by Davidoff but softer, not as overpowering, just a hint of the smell. It is lightweight as it claims to be. It completely cleanses my face without stripping it of moisture. I have been using it for two weeks now and I think it’s safe to say that I will be making another purchase. It is also very affordable which is great. The next step after the wash is the toner but I’ll skip this step in this post and go straight to moisturiser. 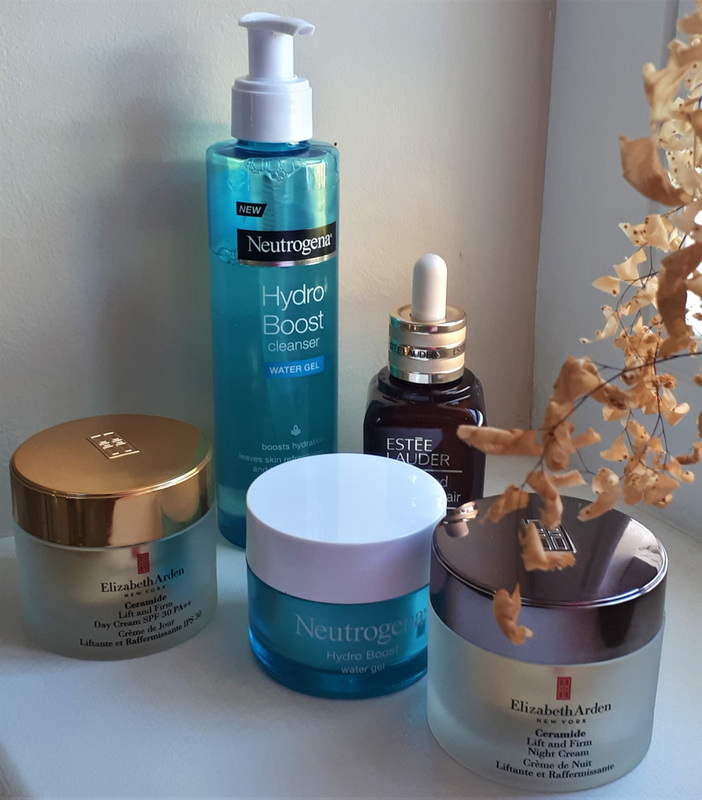 Neutrogena Hydro Boost Water Gel (R139.95 at Clicks) – I apply this moisturiser on my face after my toning ritual. It also contains hyaluronic -gel -in this case. Similar to the cleanser, it is lightweight and claims to hydrate the skin. Results – Another product I love in the Hydro Boost range. It moisturises and hydrates my face without the oily feeling some moisturisers have. My skin soaks it up and is left feeling soft and smooth like a baby’s bottom. 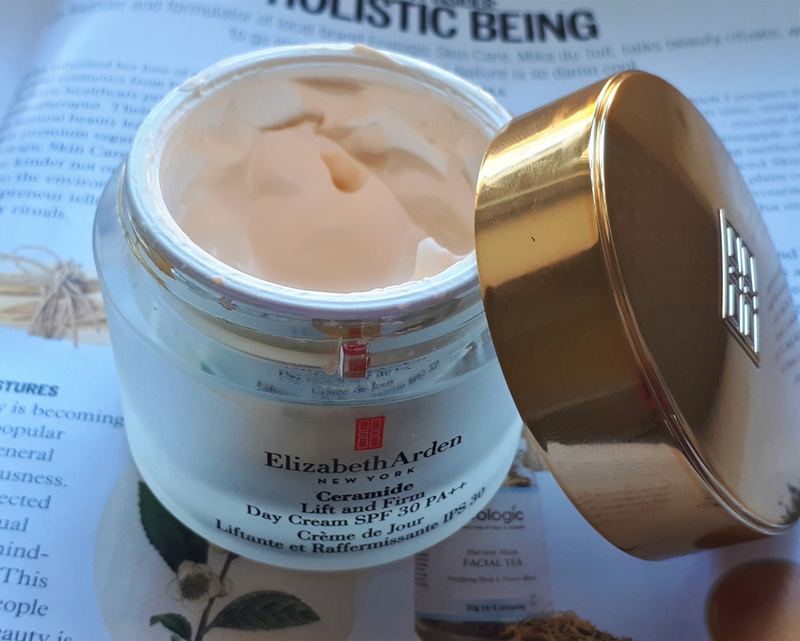 After using the Hydro Boost Water Gel, I then use the Elizabeth Arden Ceramide Lift and Firm Day Cream (RSP, R840 Day and Night Cream R1175 at Redsquare) which claims to have plumping benefits and UVA/UVB SPF 30 to protect from the ageing effects of the sun. Remember I said SPF is good for ERRBODY?! Ingredient – Ceramides are lipid molecules that plump the skin and helps to retain moisture. They are used in skin care to restore natural lipids that are lost from exposure to pollution, use of drying and harsh products. Results – I’ve been using this product for over a month now and it definitely works. It is creamy in comparison to the Hydro Boost range which is lightweight and more hydrating than moisturising. 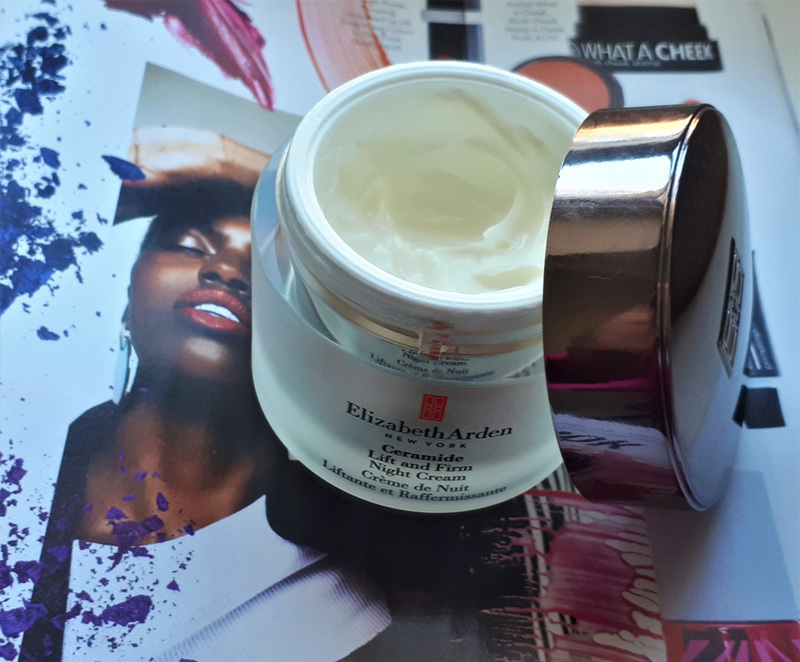 This product is moisturising and particularly helps to combat the winter dryness and dryness from using other products that strip my face of moisture. 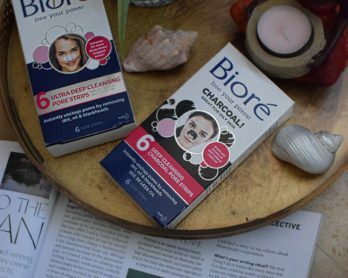 It leaves my face feeling really smooth to the touch and appears to have helped in minimising my large pores. I also never would have thought it wise to use two moisturisers especially for someone with oily skin but it works for me and does not leave my face oily at all. This may also have something to do with the fact that it’s winter and my face is generally more matte in the winter months but hey, I can’t complain. 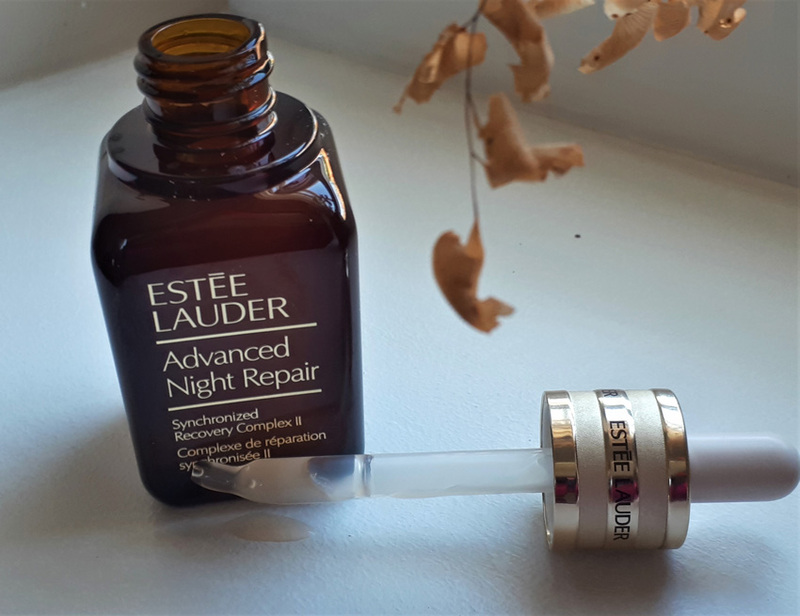 The Estee Lauder Advanced Night Repair claims to be ideal for diminishing multiple signs of ageing, visible age prevention, dryness, dehydration, lines and wrinkles, dullness and loss of radiance. Does that not sound like a miracle in a jar? Results: After cleansing, I apply three drops of the Estee Lauder Advanced Night Repair directly on my face and massage it in. The product is oil-free and my skin absorbs it like water. My face feels noticeably supple and hydrated. I’ve been using it for a week now and can’t say it’s a game changer because the products I was using prior have been doing a great job and so I have yet to see the added benefit of this serum since I incorporated it into my routine but maybe I just need to give it another week or two. Results – It works like a charm. My skin is moisturised but not oily and the key thing I notice with all these products is how soft and bouncy my skin feels after application. There are certain products you can’t use on your face on a daily basis, facial scrubs are one of them. Granted, there are some scrubs that are made for daily use but typically, scrubs are to be used once a week or every three days. The Body Shop Vitamin C Glow Revealing Liquid Peel (R200 at The Body Shop) and Glow Boosting Microdermabrasion (R210 at The Body Shop) are such products. I use them interchangeably. 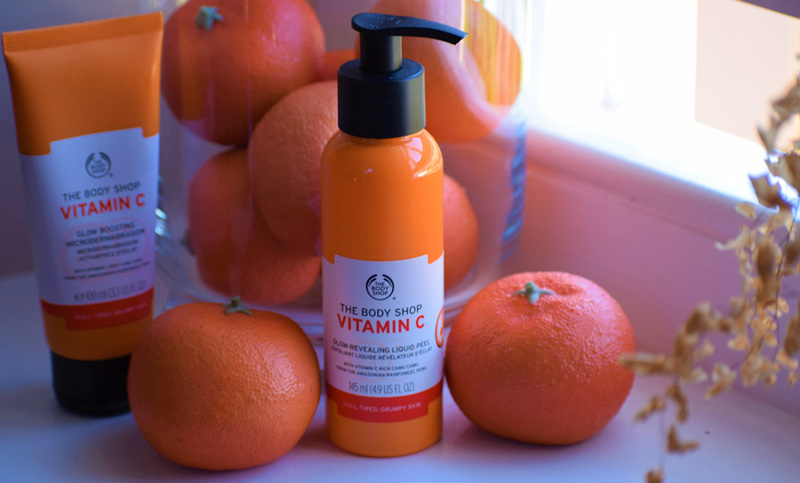 The Body Shop Vitamin C Glow Revealing Liquid Peel claims to have a gel-to-peel texture and peels away dull, tired city skin for a happy healthy glow. It apparently also contains 60 times more Vitamin C concentration than an orange! Results – This product is LEGIT! I use it once a week after cleansing my face and apply the liquid peel when my face is dry. It has a lightweight clear gel consistency and when you apply it on your face, it peels off all the dead skin even the very rough skin on the chin. 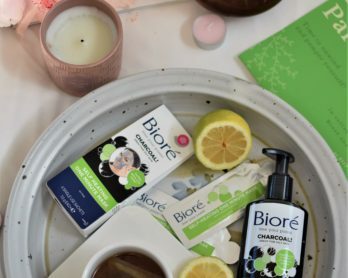 My face feels extremely soft, brighter and fresher. Definitely, no reason to stop using this product and for the price, it’s a steal! Glow Boosting Microdermabrasion is an exfoliant that removes dead skin cells, improves skin texture and tone, revealing a brighter, more radiant skin. Results – Every week, I either use The Body Shop glow revealing liquid peel or the glow boosting microdermabrasion. It has a similar function to the liquid peel except that it is not as fun to use. The granules are prickly and rub against the skin to get rid of the dead cells while the liquid peel simply gets rid of dead skin with some rubbing and no discomfort. My face is left feeling scrubbed, fresh and brighter after using this product. I’m not sure that I would buy it again only because there is nothing it does that the liquid peel doesn’t do, but with less discomfort. Do your skin-care products have any of these essential ingredients?